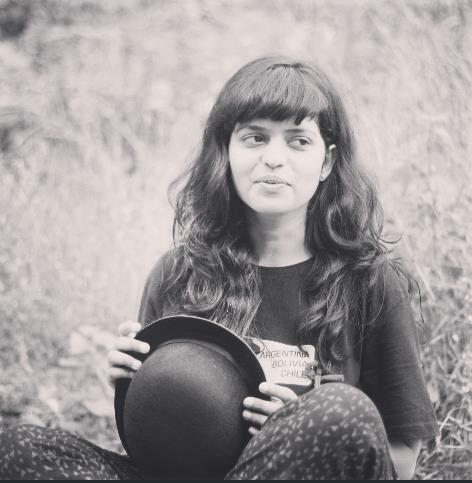 Roses Are Red, Violets Are Blue, PeeCee's A Sabya Bride & We Wish We Were Too! Lo and behold! It's here! THE wedding picture from our very own desi bride's grand wedding; the picture that had us refreshing our Instagram feeds every two minutes is finally here, and to say that it looks stunning would be a major understatement. By now, everyone is well-versed with the Nickyanka (Priyanka Chopra+Nick Jonas) love story. How the two met, fell in love, and had a whirlwind romance that led to the big fat Indian wedding. Naturally, we were a bit taken aback on not getting that invite, but now that the wedding pics have made their way to us, all is well in the world! Take a look at all the details below to see what they wore. For the Hindu ceremony, the bride wore a red, custom-made Sabyasachi lehenga that according to the designer, took 110 embroiderers and a massive total of 3720 hours to create. Revealing the details, the designer elaborated on the kind of handiwork that has gone into the making of what he calls a masterpiece (we stand in agreement). Multiple layers of threadwork accomplished by hand came together with hand-embroidered blooms and French knots created out of silk for the exquisite bridal lehenga that PeeCee wore. The ensemble also boasts of red crystals that add to its gleam, but make sure you don't miss Priyanka Chopra's glow! To round off her look, PeeCee chose custom-made jewellery, also by Sabyasachi. The opulent Mughal jewellery comprised of uncut diamonds, emeralds, and pearls set in 22 Karat gold. While we will have to wait just a little bit longer for the close-ups of her bridal jewellery, we are sure it'll be a delightful sight. 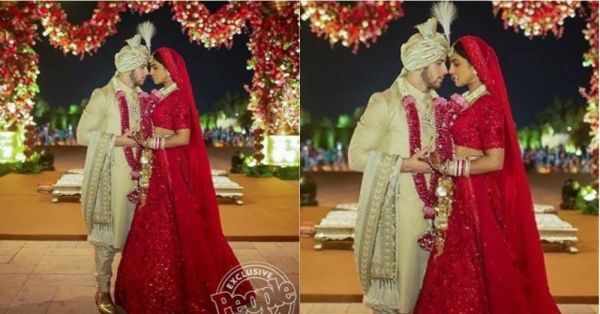 Complementing his bride, Nick Jonas went traditional with a quilted silk sherwani, complete with a chikan dupatta, a Chanderi safa, and accessories, all from Sabyasachi. Looking at these, all we can say is that Nickyanka's wedding look is making us get all obsessed.